Winter is a great season for fashion lovers. 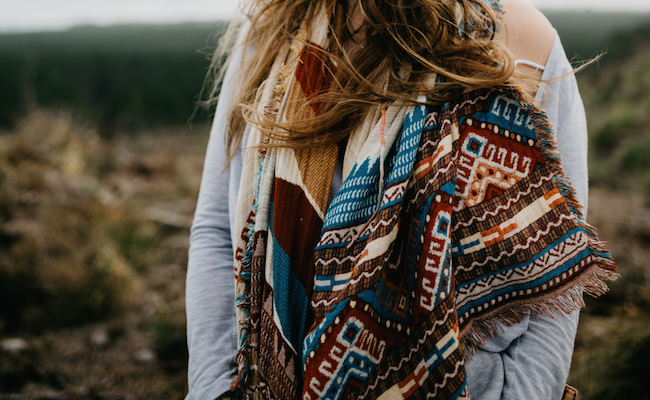 Not only do you get to pull out some of your most fashionable garments (read: winter coats), but the best part is the fact that it is now socially acceptable to wear scarves and stoles of all shapes and sizes once again. If that’s not exciting, we don’t know what is. One of our favourite Fall accessories is definitely a great stole. Whether it’s a chic silk stole or a shimmery one that you can wear for a night out, there are so many varieties to choose from. A stylish stole is an accessory that never goes out of fashion. A pretty stole can keep you warm and make you look pulled together at the same time. What more could you ask for, right? Keep reading on to shop some of our favourite stoles available online. This pretty stole from Weavers Villa features beautifully intricate work. This black and gold stole with multi colour thread work will be ideal to wear with your ethnic outfits. 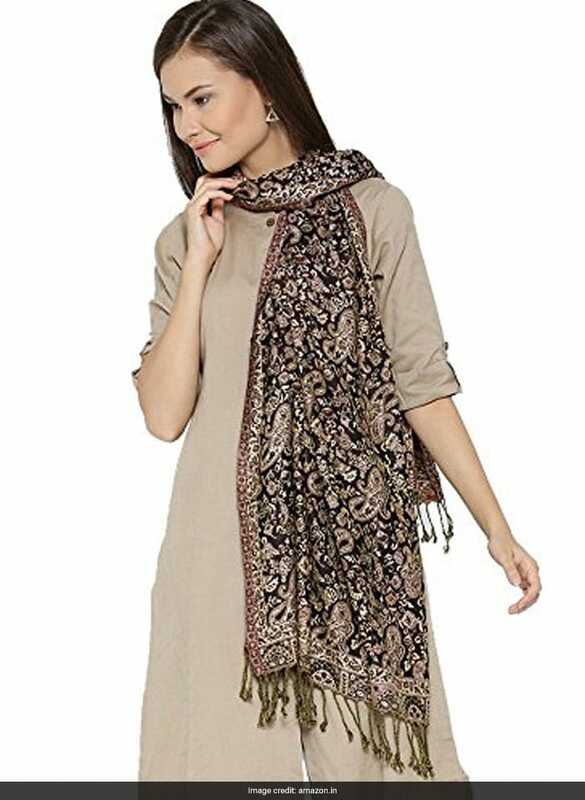 Pair it with your sarees or suits and you’re sure to make a head turning appearance. When preparing for winter party season, a gold stole is a must have. A gold stole can immediately add a hint of glamour even to an otherwise plain and simple outfit. 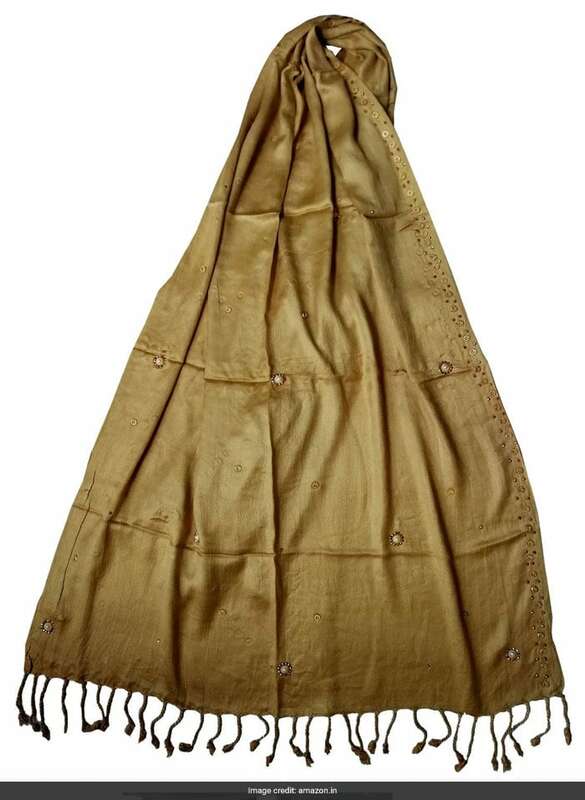 We love this gold stole with beadwork detailing from PSS on Amazon. Get yourself a shimmery black stole to wear with your western wear. Whether with a dress or even a pant suit, this black stole with silver shimmer will definitely stand out.